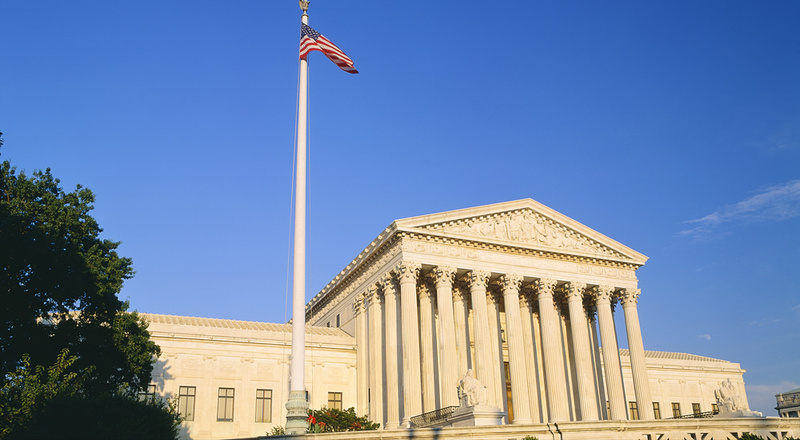 Supreme Court 2016: Where are the Conservatives? Where are the American conservatives when it comes to being aware that the Supreme Court and lower courts are slowly taking away your Constitutional rights? Where are the Constitutional Conservatives when the highest court in the land votes to leave abortion in place, rewrite laws, and create more division in America? If someone would like to show exactly where in the Constitution that it states the Federal government has the right to regulate marriage, and whom may marry, please show that amendment. I would be enthused to see this, until then, why is the Supreme Court creating new laws with it comes to whom the state may recognize or not recognize as legally married? Now if a state creates a civil union with all the legality that it should include, this civil union would be more binding than any marriage, and could be regulated by each state, but Marriage is a union sanctioned by a Religious God, whether it be Christian, Judeo or other. A state is supposed to be separate from those religious ideals. Amendment One includes the right given by God to practice our belief in our God, without detriment or a government sanctioned religion. This also includes the control of, taxation of, or threatening of any religion. When the Supreme court even has to discuss in any detail the forcing of a religious school, church, food bank, or outreach to meet the goals of an out of control President, then it is not following the Constitution. Abortion and therefore the funding of abortions is not found in the constitution and therefore cannot and should not be bound by any federal law of any legislature. The federal government, including the SCOTUS getting involved in this discussion is in itself going against the Constitution, for which the SCOTUS was originally set up to protect. Without going off the deep end of opinion and negativity, if any person or persons can find in the original 10 Amendments any clause or statute that gives the federal government the right to regulate marriage, abortion, religion, or deter in any manner the right to have guns, please inform me. I find it amazing that so many “constitutional “conservatives state they follow the constitution, but you never see them state the easiest argument, which is, what is allowed and what is not allowed by the Constitution. And for you die hard liberals, nowhere does the Constitution state that as a bunch of bleeding hearts start yelling for special rights, that the Constitution can be changed, please show me that as well, until then, live with the Constitution, which is not a piece of legislation that can be changed due to whims, and whines. The Founding Fathers also made sure there were three branches of government to stop any over-reaching by any one branch, and where are the Constitutionalist when it comes to Obama and his pen and made up demands, or Liberals and Conservative legislatures making laws to benefit themselves or their district to keep them in office? Time that Americans demand that America goes back to the Constitution, and no more playing footsie with one another to get special favors, and corrupting our founding Laws, and what the intent was, as written by the Founding Fathers. Where are the Constitutionalist when it comes to the SCOTUS that goes against every grain of the original Constitution, or the legislature making up newfangled laws that never should be federal mandates in any sense of the word, or idea? NO, THE SCOTUS IS NO LONGER CONSTITUTIONAL, AND NEITHER ARE MANY AMERICANS WHO LIKE TO ESPOUSE THAT THEY ARE. FOR ANY TRUE CONSTITUTIONALIST WOULD BE UP IN ARMS WITH MANY LAWS AND STATUTES THAT THE FEDERAL GOVERNMENT PLACES UPON THE AMERICAN CITIZEN, DAILY, WEEKLY, MONTHLY AND YEARLY…..